A Layer Mask is a special Mix Mode that will filter out image data from the layer below it in a non-destructive way. 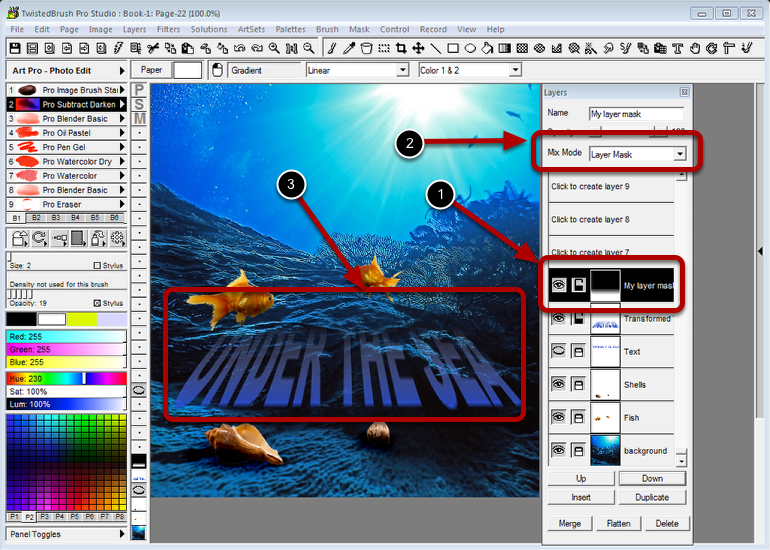 A layer with text will be the target of the layer mask. Notice that the opacity is set at 100% for this layer. Also notice that the text is fully opaque. A layer mask works off of the luminance values in a layer. Therefore working in grayscale is a wise choice. Also keep in mind that a layer mask has nothing to do the other masks in TwistedBrush. Here a layer has been created above the layer that will be filtered and a gradient was added. Notice that the Mix Mode of Layer Mask is selected. 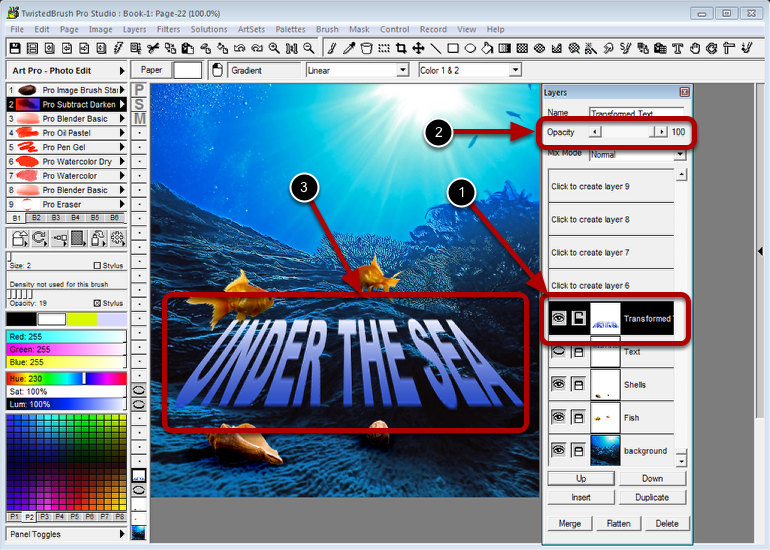 Because of the Layer Mask mix mode the "UNDER THE SEA" text now has a transparency. But it is non-destructive. If you were to hide or remove the layer with the layer mask the text would be fully opaque again.